As a result of vast growth in wireless networks, there is an abrupt hike in user demands, constantly demanding surplus data as well as services. This abrupt demand creates a lot of burden on backbone-based macro-cellular networks because of inability and incapability in handling these high traffic demands. The possible solutions to handle these inefficiencies are to control the ground level data plane network from aerially such as Tethered balloon, loon technology, unmanned aerial vehicle (UAV) concept, etc. This one is a survey paper in which a network is proposed to enhance the capacity and to extend the coverage of heterogeneous network assisted by UAVs (i.e., handling of traffic demand inefficiency of traditional infrastructure-based macro-cellular networks is done through UAVs as intermediate aerial nodes in heterogeneous network). The paper investigates the problem related to high user demands-based UAVs-assisted heterogeneous network. A MIMO-OFDM approach is set to serve the higher data rates to the ground users. Multiple UAVs have been used to provide long distance connectivity and enhance the load balancing and traffic offload. 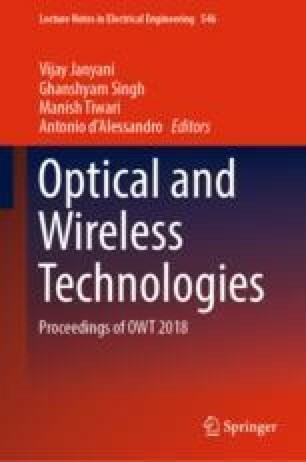 This review paper hopes for the betterment in spectral efficiency, transmission range, and transmission delays.